After the St. Kitts and Nevis came from behind on Sunday night to draw level with the Under-20s at two goals a piece, both the national Under-17 and Under 20 teams were back in action on Monday evening as they took on Under-20 teams from St. Kitts and Nevis and Dominica. Playing in the first game at the Wildey Turf, the Under-17s took on St. Kitts and Nevis and were unable unable to get the better of the overseas team. St. Kitts have a sound-looking crop of players on their hands and should do well in the future. Their creativity, physicality and intensity did not betray them as they pulled out a 1-0 win over their younger opponents. A goal from Jason Jeffers in the 30th minute was all that was needed to seal the deal for the visitors. 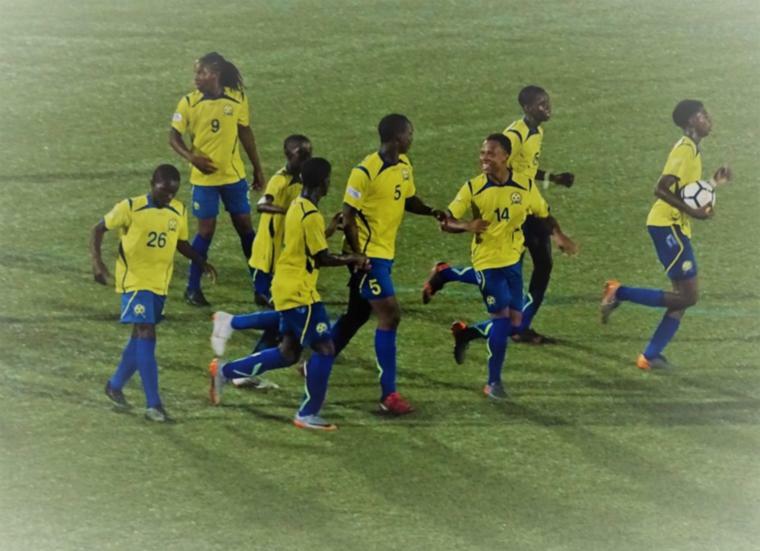 The later game pitted the local Under-20s against Dominica's Under-20s and the hosts walked off with a 4-1 win. Niall Reid-Stephen opened the scoring in the 4th minute, however, Jamie Parillon had the equaliserfor Dominicain the 12th. Reid-Stephen would go on to get a hat-trick with goals in the 26th and 41s tminutes, while Thierry Gall got his name on one in the 61stminute, but not before Dominica's Richmond Louis picked up a second yellow card to be given his walking papers in the 59th. The most recent game on Tuesday evening saw the local Under-17 boys taking on the Dominica Under-20s. Dominica drew first blood through Reon Cuffy in the 41st minute to see the visitors take the lead just before the halftime break. However, the Young Tridents bounced back in the 71st minute with a goal from Triston Bancroft to see the teams break even at full time.